Some Republican leaders are promoting state high-risk pools as an alternative to the Affordable Care Act's popular provision requiring health plans to accept consumers regardless of pre-existing medical conditions. They cite Wisconsin's pre-ACA pool, the Health Insurance Risk-Sharing Plan, as a model. But a Wisconsin insurance official recently cautioned a House panel that high-risk pools need a stable funding source and are not a solution for every state. Other experts say state high-risk pools generally were a policy failure across the country, and making them work properly would require a large amount of taxpayer funding. 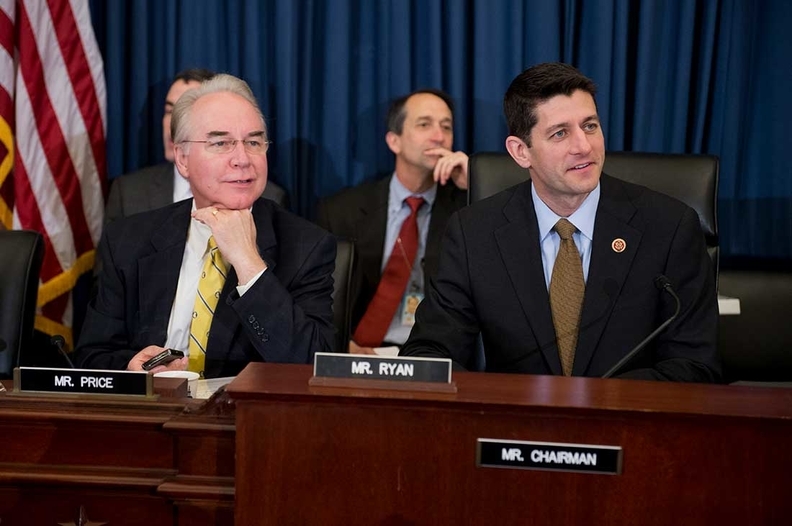 ACA replacement proposals presented by House Speaker Paul Ryan and newly confirmed HHS Secretary Tom Price would provide federal funding to states to establish separate high-risk plans to serve sicker people. The goal is to enable insurers to reduce premiums in standard individual-market plans by getting the costliest people out of those plans while guaranteeing them continued access to coverage through the pools. House Republicans reportedly aim to include high-risk pools in a budget reconciliation bill that would repeal most of the ACA that they hope to pass on a party-line vote before the spring recess. There is considerable evidence, however, that state high-risk pools, which operated in 35 states prior to the ACA, were not successful overall at providing broad access to high-quality, affordable coverage. Many had limited enrollment, very high premiums, steep deductibles, pre-existing condition exclusions lasting six to 12 months, annual and lifetime benefit limits and waiting lists. Most operated in the red. Only about 226,000 people were enrolled in high-risk pools nationally at the end of 2011. But at a House Energy and Commerce Committee hearing earlier this month, Republicans touted the success of Wisconsin's high-risk pool, which was started in 1979 and operated until the ACA took effect in 2014. They invited J.P. Wieske, Wisconsin's deputy insurance commissioner, to talk up the merits of this approach as part of their effort to repeal and replace the ACA. “Pooling the high-risk individuals together and managing their needs separately was a huge factor in the state's success in offering a competitive insurance market,” Lieske told the committee. Wisconsin's program covered about 22,000 people in 2012, most of them in plans with deductibles ranging from $2,500 to $7,500, according to a report by the Wisconsin Legislative Fiscal Bureau. There were numerous, complicated eligibility criteria involving proof of rejection by private insurers. For previously uninsured people who entered the program, there was a six-month waiting period for coverage of pre-existing conditions. In 2013, monthly premiums for a Wisconsin high-risk pool plan with a $2,500 deductible ranged from $473 for a 45-year-old woman to $847 for a 60-year-old man. Members with an annual income under $34,000 qualified for discounts on premiums and deductibles, with people earning under $10,000 receiving a 43% premium discount and $750 off their deductible. The program was funded 60% by enrollees' premium payments, 20% by assessments on Wisconsin insurers, and 20% by provider discounts, with no state dollars. It had total operating expenses of $146.8 million in 2011, when it recorded a loss of $6.9 million, according to a report by the Wisconsin Legislative Fiscal Bureau. In an interview, Wieske acknowledged that the high premiums posed affordability issues for Wisconsinites who did not qualify for discounts on their premiums. But he argues that having a high-risk pool resulted in lower premiums for the rest of the insurance market, though his office never calculated the size of the rate reduction. And having all carriers pay an assessment based on their market share produced an even distribution of risk among insurers, he added. The program “worked incredibly well in Wisconsin” but wouldn't necessarily work in other states with different demographics, health insurance markets and provider communities, Wieske said. Some states might want to consider covering high-risk residents through standard health plans backed by strong reinsurance mechanisms to protect insurers from losses. Other states that have a dominant Blues plan might want to pay that insurer to act as the carrier of last resort. So far GOP plans to replace the ACA don't discuss such alternatives to high-risk pools. Asked how Congress could ensure that all states had a program that guaranteed quality coverage to people with pre-existing conditions, Wieske said lawmakers could set appropriate federal standards to make sure every state provided adequate funding, access and benefits. But Harold Pollack, a health policy expert at the University of Chicago who has studied high-risk pools, expressed doubt that congressional Republicans would be willing to ante up enough money to fund an solid alternative system for covering people with pre-existing conditions. He previously estimated that at least 4 million Americans with serious pre-existing conditions—and probably many more—would qualify for high-risk pool coverage, and that the annual public costs would exceed $24 billion. The Kaiser Family Foundation recently estimated that 27% of adult Americans under age 65 have health conditions that likely would make them uninsurable in an individual market lacking the ACA's protections against insurance discrimination. Speaker Ryan has proposed $25 billion in federal funding to the states over 10 years for the pools, and other Republicans have offered significantly less. Even some Republican experts think that's far too little.